Then the meeting broke up, and everybody went home. Jesus returned to the Mount of Olives, but early the next morning he was back again at the Temple. A crowd soon gathered, and he sat down and taught them. As he was speaking, the teachers of religious law and the Pharisees brought a woman who had been caught in the act of adultery. They put her in front of the crowd. They were trying to trap him into saying something they could use against him, but Jesus stooped down and wrote in the dust with his finger. They kept demanding an answer, so he stood up again and said, “All right, but let the one who has never sinned throw the first stone!” Then he stooped down again and wrote in the dust. Whether publicly or privately, we’ve all been caught in the act of sin – be it hardness of heart, base desires, or shameful secrets. 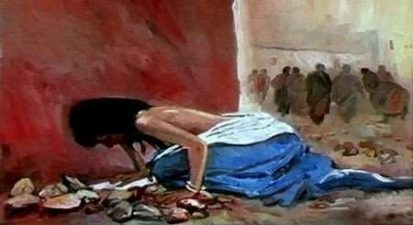 The humiliation that this woman faced is our humiliation before a righteous God. So what can we learn from this story? 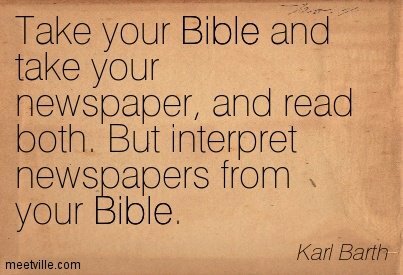 + Truth: There is no difference between the irreligious (the woman) and the religious (the Pharisees), we are all condemned sinners – under the judgement of God. + Truth: Jesus does not condone or excuse our sin – we are without excuse, solely at the mercy of God. + Grace: Jesus offers forgiveness to guilty sinners through faith and repentance. + Grace through Faith: Made available only through Jesus’ death on the Cross – (1 Corinthians 5:21) – but we’re jumping ahead in the story. + Truth and Grace: Jesus offers sinners a fresh start. How do you view yourself – as an irreligious sinner, or as a religious sinner? What’s the difference? Please explain. How do you understand God’s grace? What role does grace play in your life? How do you understand God’s forgiveness? What role does faith in Christ play in forgiveness? How do you understand confession and repentance? What role do they play in your life? What is your one takeaway after reflecting on this story? ‹ Tuesday Morning: 29 Jan 2019 – John 7:37-52 ~ The promise of living water.